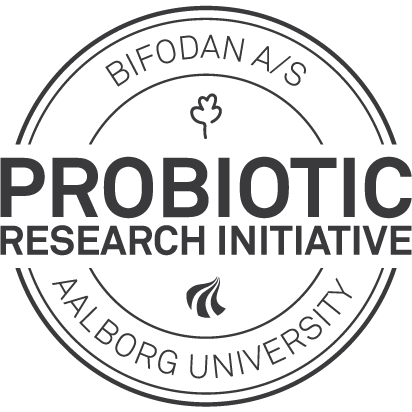 Copenhagen, Denmark, March 4th 2019: Bifodan A/S together with Aalborg University is pleased to announce the foundation of the Probiotic Research InitiativeTM. Probiotic Research InitiativeTM is a collaboration between Bifodan and the Biomedicine Group at Aalborg University to enhance the effectiveness of research across academia and industry related to the application of probiotics in health and disease. The Biomedicine group at Aalborg University (AAU), Denmark is at the forefront of innovative research in understanding and addressing a variety of health-related issues, and the affiliation with University Hospital of Aalborg, allows this group of researchers to test basic research in the clinical setting in a very efficient manner. Probiotic Research InitiativeTM will support both Bifodan and AAU in advancing and communicating scientific results related to probiotics in a very effective way. Recently, at “Probiota 2019” in Copenhagen, Dr. Fereshteh Dardmeh (DVM, Ph.D.) presented her latest research with probiotics from Bifodan’s strain portfolio and says about the collaboration: ‘Bifodan strains are ready – they have been screened and developed and the cooperation between the Biomedicine group of Aalborg University with the research team at Bifodan has been very fruitful; Dr. Hiva Alipour (DVM, Ph.D.), another member of the probiotic initiative team also agrees and adds that “The collaboration between academia and the industry is very valuable and will help not only to significantly boost the scientific knowledge but to also further move probiotics from bench to bedside”. Bifodan A/S develops and manufactures probiotic turnkey solutions for private label customers worldwide. Based just North of Copenhagen, Denmark, Bifodan delivers clinically documented, high-quality probiotic products, manufactured at our GMP approved production facility. Bifodan has a long history in probiotic bacteria, as the company was founded by the first Danish dairy to isolate the lactobacillus acidophilus bacteria in 1938. Bifodan has been dedicated to research and development of probiotic nutritional supplements since 1992.